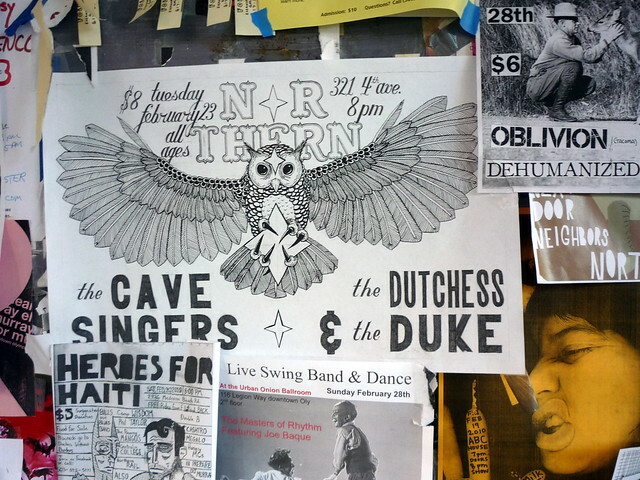 The Cave Singers is an American band from Seattle, Washington. Composed of former members of Pretty Girls Make Graves after its disbandment in 2007, former PGMG-member Derek Fudesco teamed up with Pete Quirk and Marty Lund and began playing in the Seattle area. Soon after the band&apos;s conception, The Cave Singers signed with Matador Records on June 11, 2007. The band spent time recording in Vancouver with music engineer Colin Stewart, who quickly produced the band&apos;s first full-length LP. 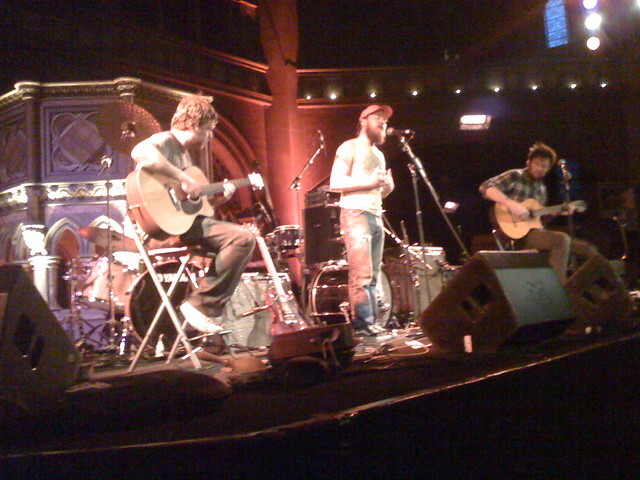 Before releasing The Cave Singers&apos; debut album, Invitation Songs, the band released the limited edition pre-release 7" "Seeds Of Night" including the b side "After The First Baptism" on August 2, 2007. A month later, Invitation Songs was released on September 25, 2007 and met with critical acclaim. The second single from Invitation Songs, "Dancing On Our Graves", was released on February 25, 2008.
albums: "The Cave Singers", "Invitation Songs", "Welcome Joy", "No Witch", "Naomi", "Dancing on Our Graves"
"The Cave Singers" is a musical EP of The Cave Singers. Shearwater/The Cave Singers/Hospital Ships at the Union Chapel London. Go to the wordplay of The Cave Singers for some fun with words!